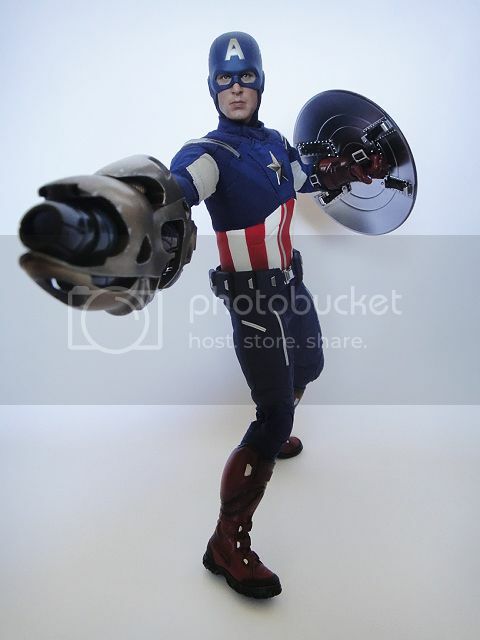 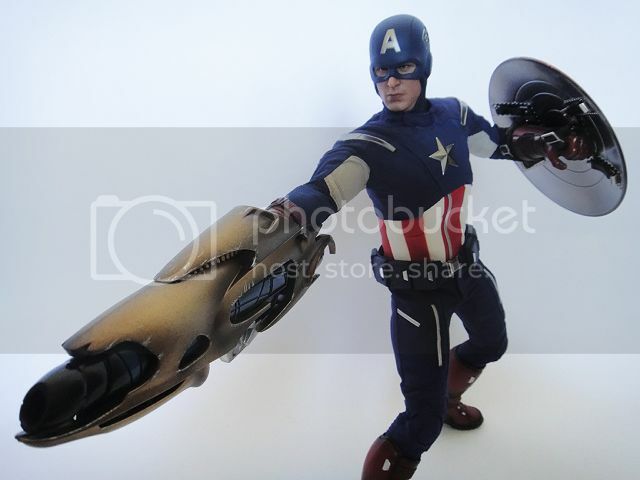 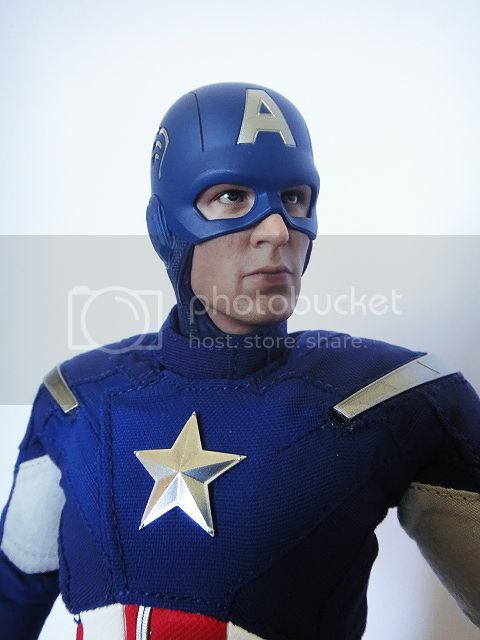 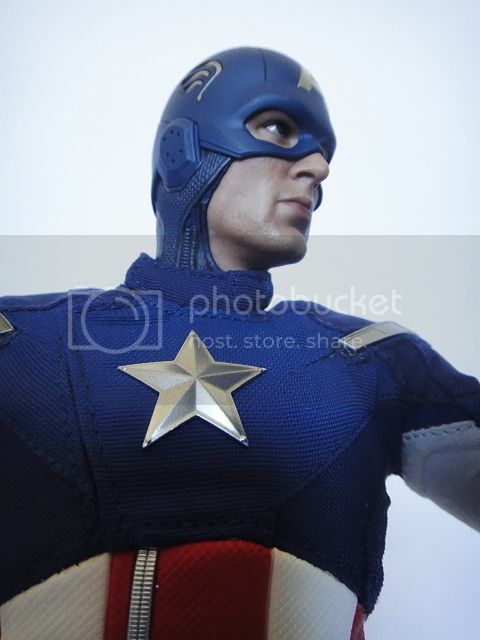 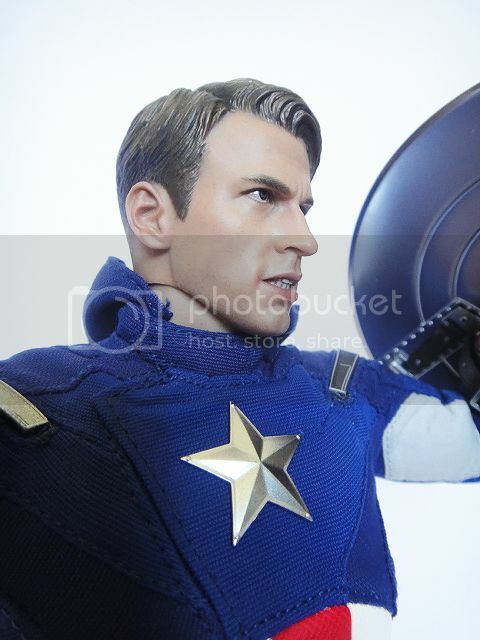 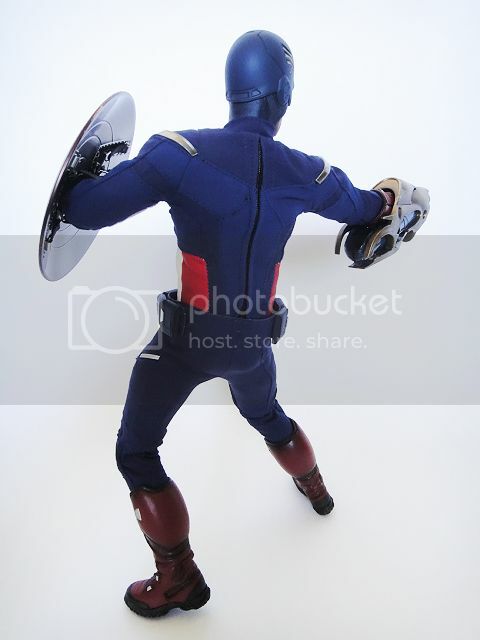 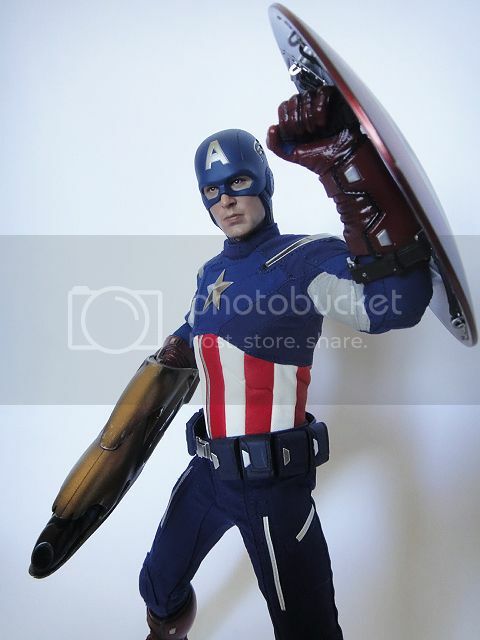 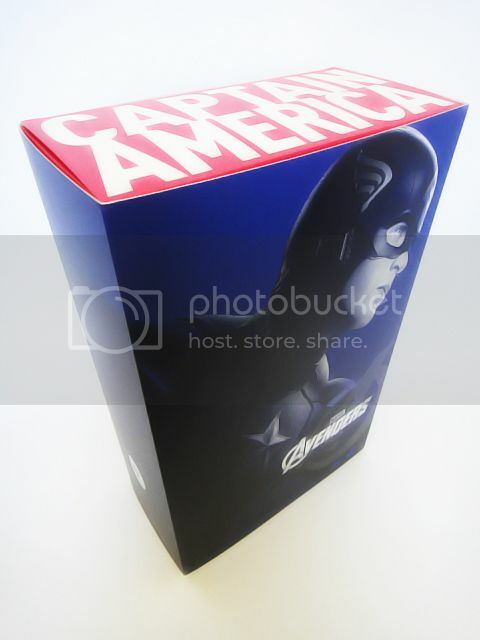 Third avengers member released by Hot Toys’ 1/6 The Avengers Movie Masterpiece line. 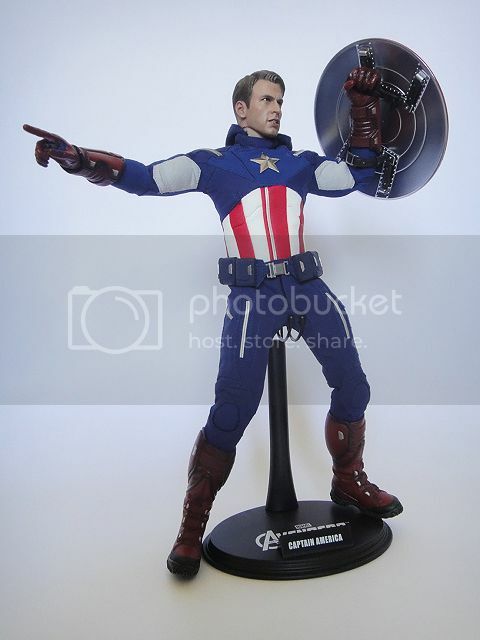 Not a bad looking figure but just not as poseable as HT advertised. 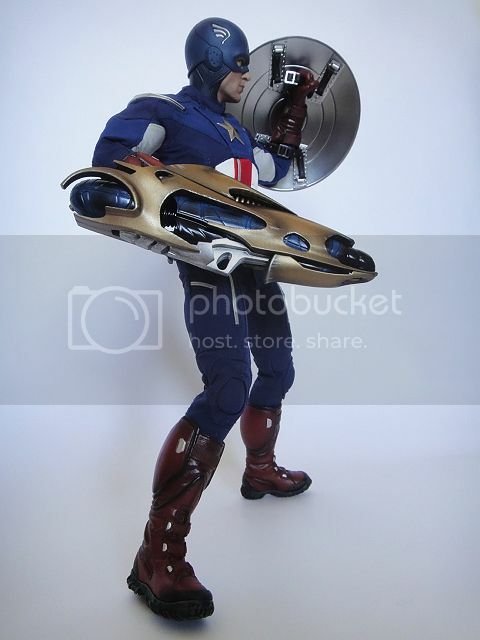 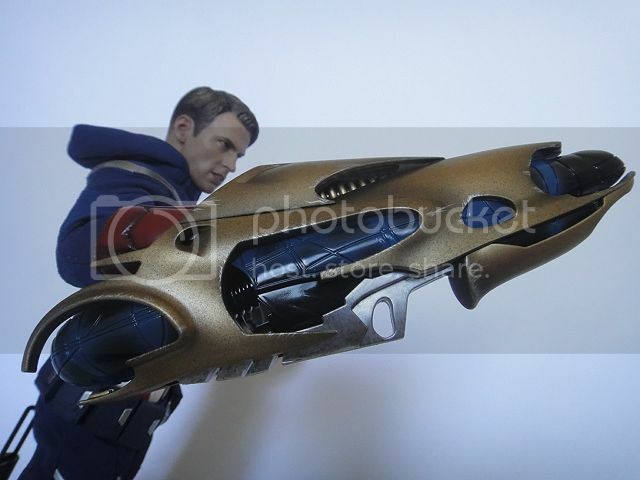 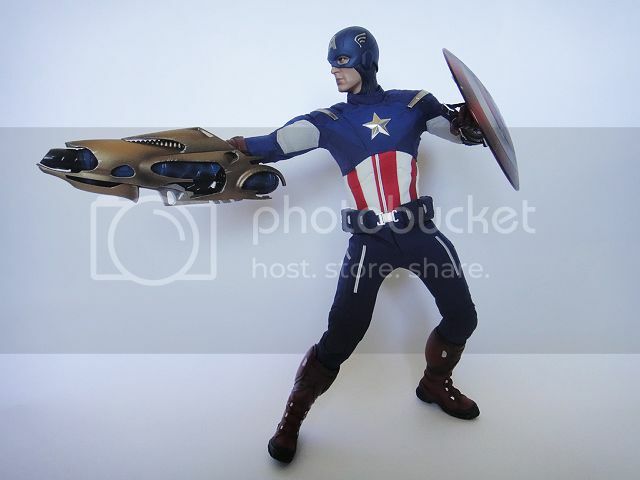 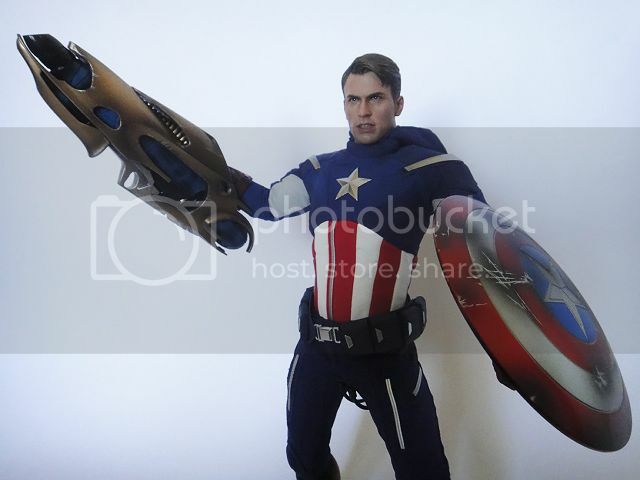 The clothes restrict any extreme movements and the Chitauri weapon is too heavy for the Cap to hold it up. 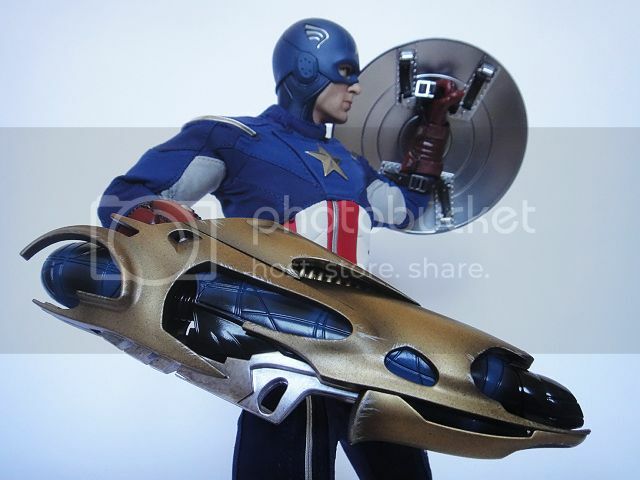 The detail on the shield is awesome and the non-battle damaged version is extremely shiny. 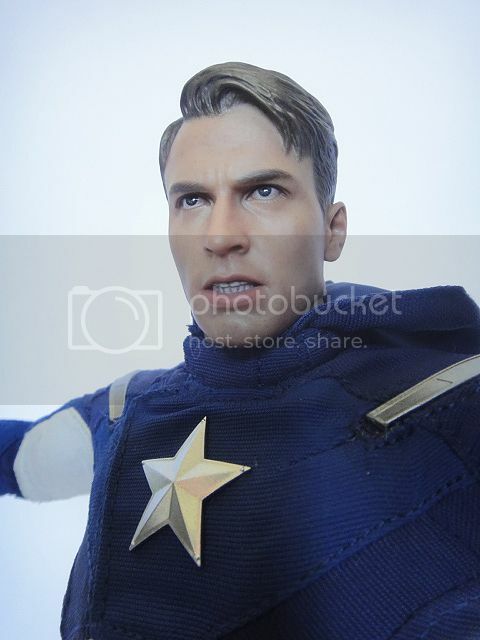 The sculpt is great but the choice they chose is kind of derpy. 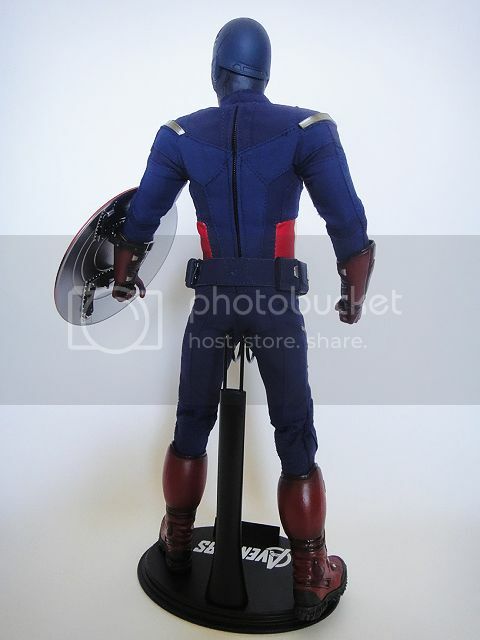 Kind of wish the grinning face version was masked…the blank face sculpt is boring. 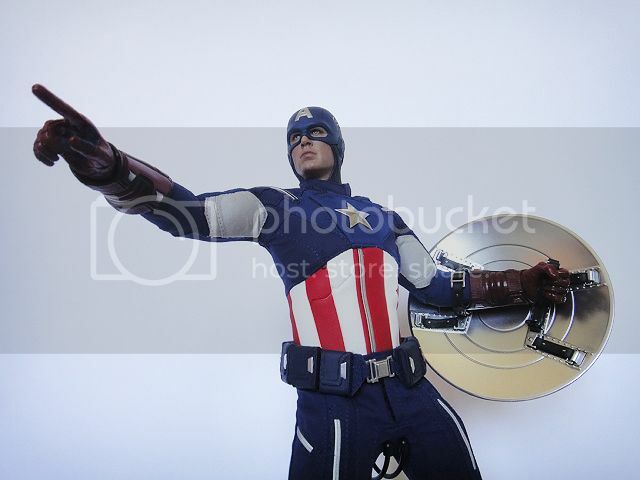 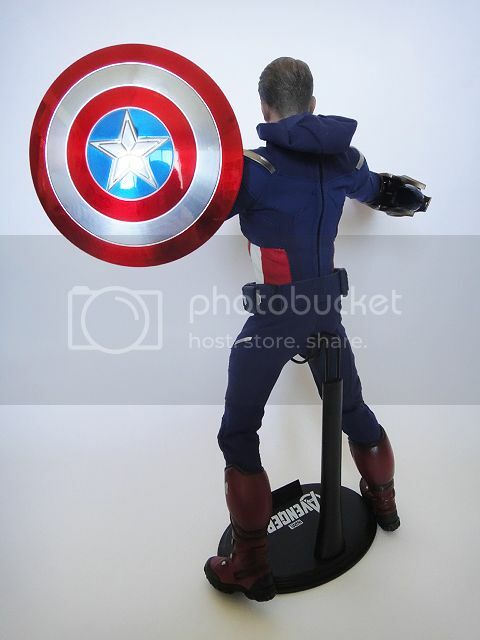 It kind of also doesn’t make sense that there’s a battle-damaged shield but no alternate battle damaged attire. 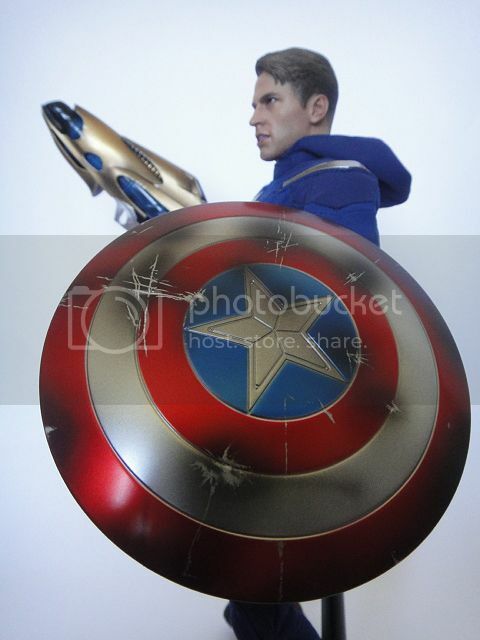 Personally it looks weird that the shield is damaged but everything else on the Cap is clean and spotless haha. 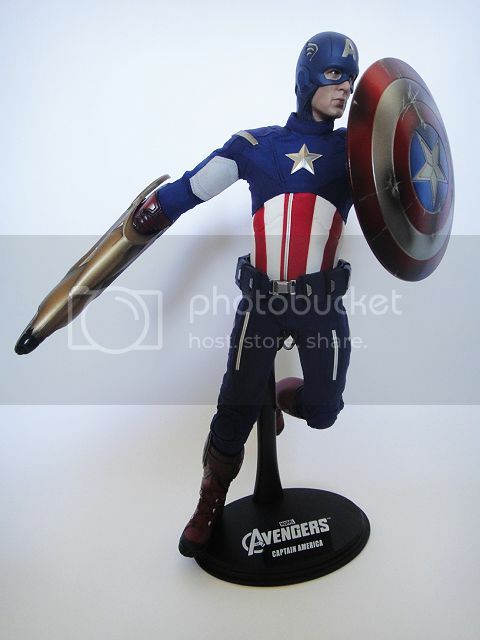 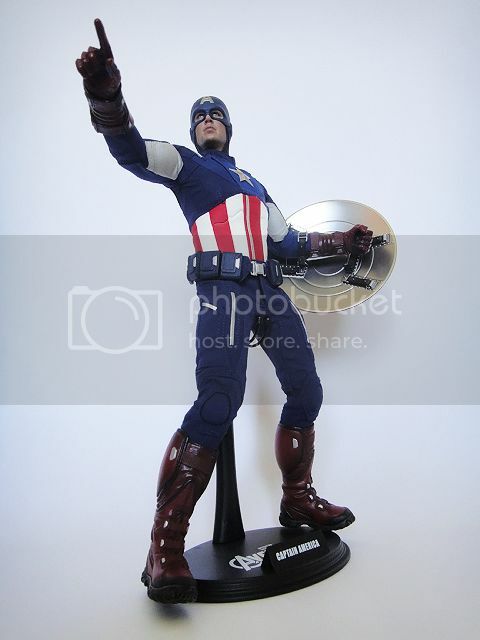 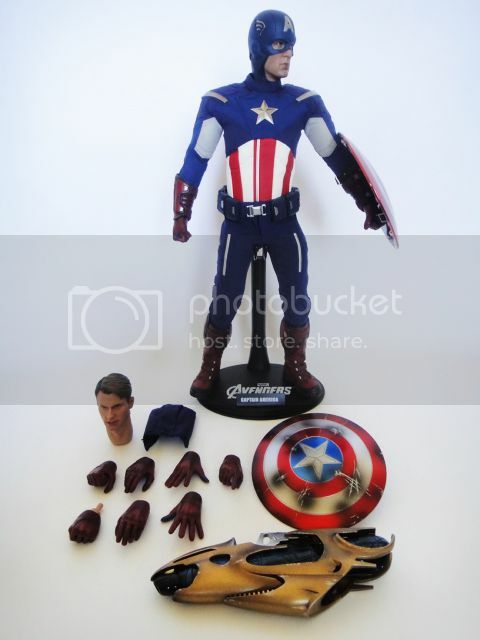 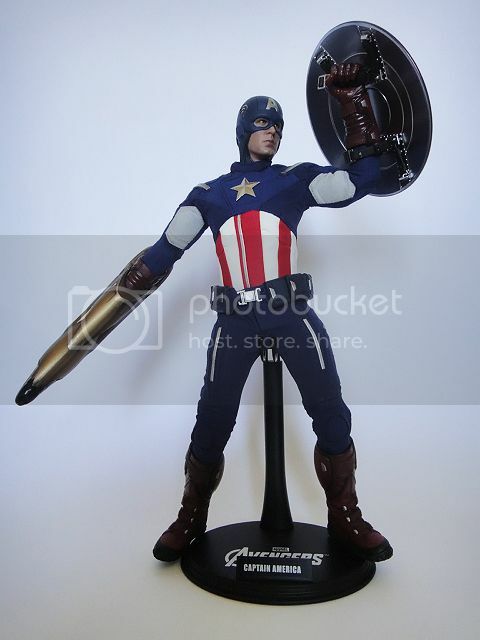 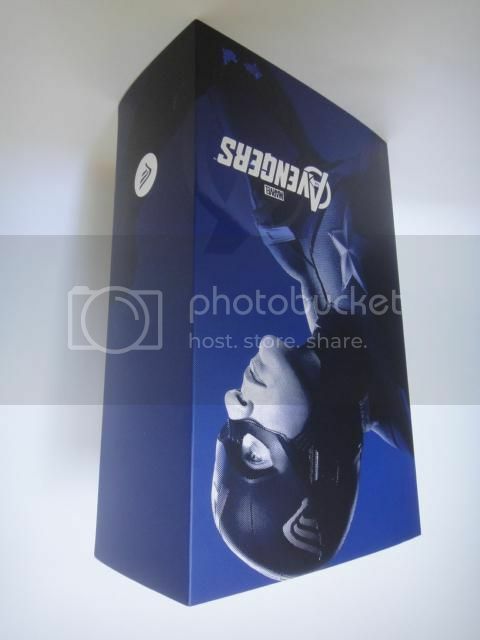 O well, overall the figure is not bad, if you missed out don’t worry, there’s so many alternate versions being released AND there’s going to be the “Winter Soldier” version and most likely “The Avengers 2” version. 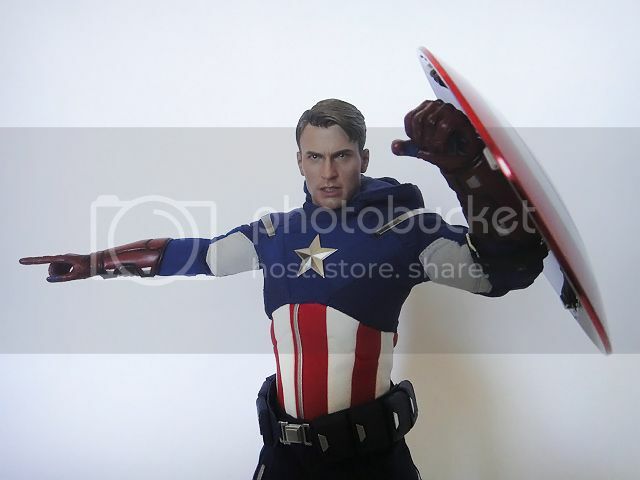 Hopefully they are lot more poseable, at least be able to do the “Charging Star!” pose…or cartwheel lol.